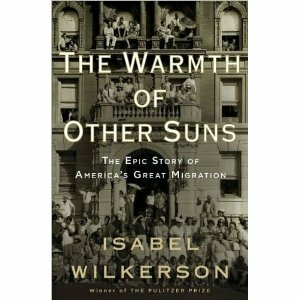 Isabel Wilkerson, the author of The Warmth of Other Suns: The Epic Story of America's Great Migration and the first black woman in American journalism to win a Pulitzer Prize, will speak at Oakland's African American Museum and Library on Wednesday, May 25, 2011. The talk is scheduled to begin at 6:30 p.m. The library is at 659 14th Street, Oakland, CA 94612; to reserve a seat call (510) 637-0200. 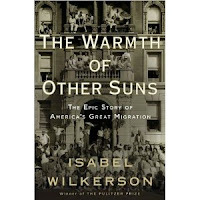 The Great Migration refers to the massive movement of a significant proportion of the American black population from the South to the Northeast, Midwest, and West between about 1915-1970. 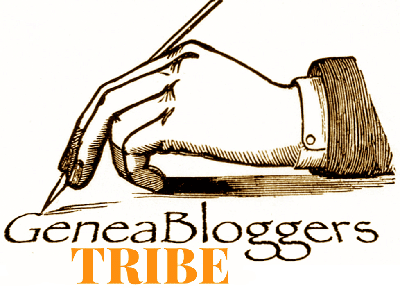 This was the topic for the January class of the African American Genealogy Workshop I'm participating in. We watched a Podcast of a lecture by Wilkerson, who talked about her book. The presentation on May 25 may be similar to the Podcast, but I have been told that audience members will be encouraged to ask questions after the talk. The visit to Oakland is part of her national book tour. Thank you so much for posting this about Wilkerson's talk. I was able to attend and enjoyed her presentation immensely. Were you there? I wasn't able to spot you in the crowd. I'm very glad you were able to attend. I heard that it was a wonderful presentation. I unfortunately had a conflict that night and was not able to go. This book exceeded my expectations, and captured my attention from the moment I commenced reading it. Great writing! Perceptive focus on an aspect of American History heretofore, unbeknownst to myself, and perhaps to most history buffs. Truth-telling at its best! Flawless presentation of painful realities that never made it into any American History books I've ever read. I love the book!